I am really starting to look forward to opening my mail box. There are so many artistic ladies on this site! My friend, Stephanie, who is a Lady Wrap Star (see her post here) is also starting to make her own scarf wrapping accessories! They are gorgeous, and work very well because they are specifically made for those of us that cover with scarves. 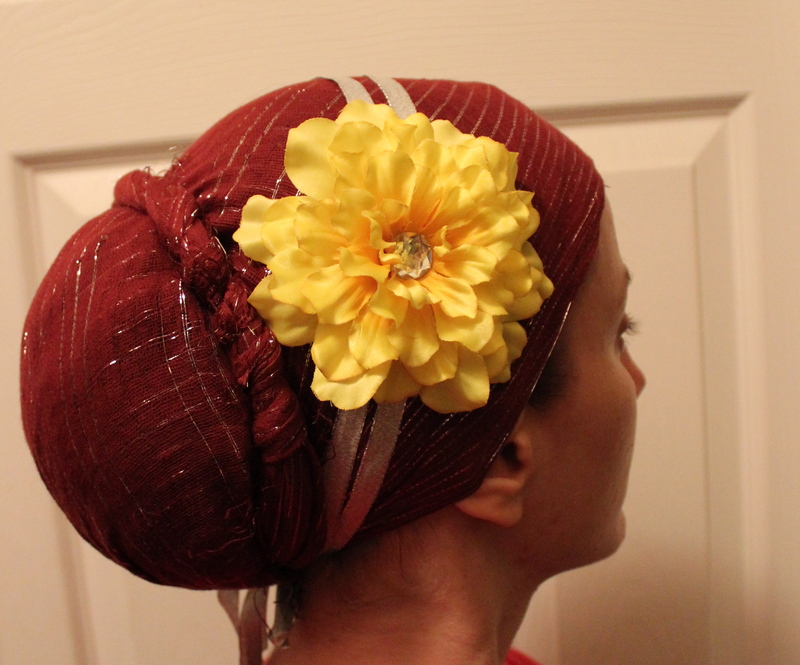 I am loving this pretty gift of a yellow flower clip/headband – I can’t seem to stop wearing it! 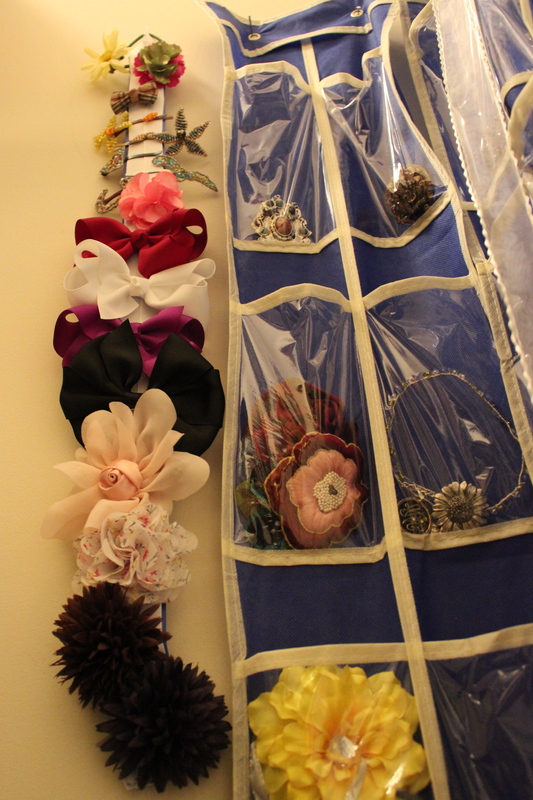 Stephanie is also making hair clip holders (basically, a pretty ribbon – or two – attached to a loop that can be hung on your wall) and sent me one. It holds my flower clips beautifully and is very practical for storage. You can see it on the left side of this photo. (On the right is how I store my pins.) Yay no more crushed flowers! I am not sure, but I do think she is selling her creations and since everything is made by hand, will do special requests. I will let her clarify that! Thank you Stephanie! Oh, man! I am totally wanting that headband. Does she have a place to buy them, yet? Check out “Ticheled Tiaras” on facebook – her prices are VERY affordable! I am so happy I found your blog. It has really helped with my wrapping and inspiration to try new styles and accessories. What fun to pick what scarf to wear each day. Thank you for the inspiration! I love this flower!! I particularly loved it on the tiel. These are so beautiful! I clearly need to invest in some more flower pins!